Valletta is pre-eminently an ideal creation of the late Renaissance with its uniform urban plan, inspired by neo-Platonic principles, its fortified and bastioned walls modeled around the natural site, and the voluntary implantation of great monuments in well-chosen locations. Within the confines of the fortified peninsula of Valletta, which constitutes one of the most attractive natural sites of the Mediterranean, dominating the two ports of Grand Harbour and Marsamxett Harbour, the density of the buildings dating from the 16th, 17th and 18th centuries is impressive. After the great siege of Malta in 1565, the new city, based on an orthogonal urban plan, was founded by the Italian engineer Francesco Laparelli of Cortona (1521-70), the planning being carried out by Girolamo Cassar. The fortification and the uniform urban plan of Valletta were inspired by architectural principles of the Italian Renaissance in combination with techniques of contemporary city-planning and aesthetic considerations of urban theorists. The buildings of the order are harmoniously integrated within the uniform grille of the streets: the Cathedral of St John (former Conventual Church of the Order, 1573), Palace of the Grand Master (end of 16th century), Auberge de Castille et Leon (1574), Auberge de Provence (1571-75), Auberge d’Italie (1574), Auberge d’Aragon (end of 16th century) and Infirmary of the Order (end of 16th century). The same is true of the great religious buildings as Our Lady of Victory (1566), St Catherine (1576), and Il Gesù (1595). The improvements attributed to the military engineers and architects of the 18th century have not disturbed this harmony (Auberge de Bavière, Church of the Shipwreck of St Paul, Library and Mantel Theatre, etc.). The total of 320 historic monuments within a confined area of 55 ha is among the most strongly concentrated of this nature in the world. 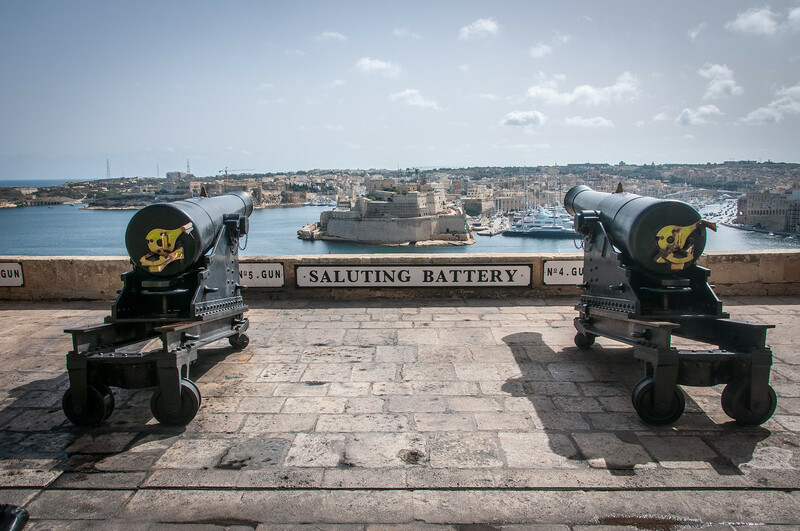 The city of Valletta has seen a great deal of history. The moment you walk into the city past its enormous walls, you can see why this fortress why so important to the history of the Mediterranean. 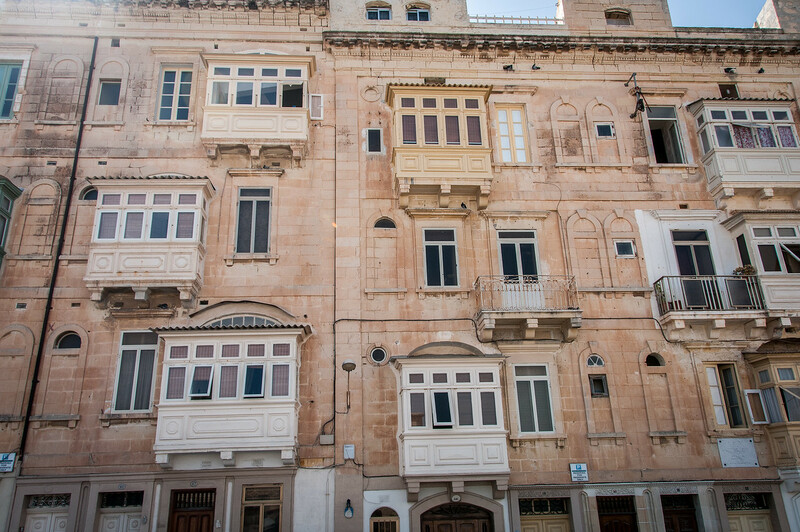 While the site has been inhabited for thousands of years, most of what you will see in Valletta dates from the 16th century to today. The Knights of Malta were responsible for much of the construction in the city. The Siege of Malta during WWII also destroyed many buildings which lead to wide-scale reconstruction after the war. St. John’s cathedral is one of the more splendid cathedrals you will find in all of Europe. (image above) The interior is gilded in gold and the floor is covered with the tombs of many of the distinguished knights of the order. The biggest attraction, however, is The Beheading of Saint John the Baptist by Caravaggio. One event you should observe is the noon salute at the salute battery. It is a cannon which is fired every at noon every day. You can watch it from a balcony for free or from within the battery for 2 Euros. Expect to spend at least a half day in Valletta if not a full day. As the capital city of Malta it is easy to reach and explore on foot. The City of Valletta is a cultural UNESCO World Heritage Site in Malta. It was inscribed in 1980 and is located on the South Eastern region of Malta. As the capital city of Malta, it has earned the nickname of “The City”. 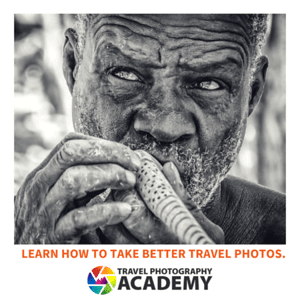 With a population of less than 7,000, it is one of the smallest capital cities in the world. The character and vibe of the city is essentially Baroque in nature. You will find several architecture and monuments that depict the Neo-classical, Mannerist, and Modern architecture. The Second World War left many portions of the city in ruins, though. But despite of that, the city still holds a lot of cultural and historical value, which is why the City of Valletta is named a UNESCO site. The City of Valletta has had a long period of history involving occupations by various rulers. It was the Knights of St. John who helped build the city to provide refuge for the wounded soldiers and pilgrims in the 16th century Crusades. 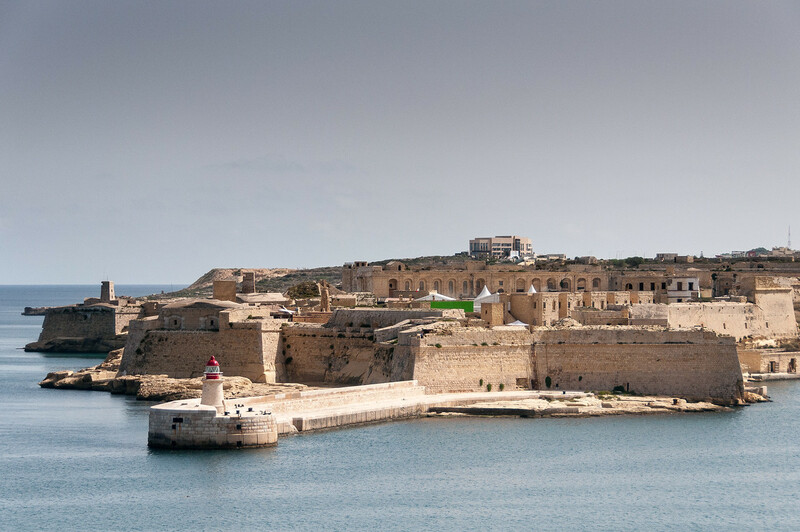 Prior to this, the island where Valletta is located was once an arid land. Aside from a small watch tower, no building stood on the island. It was then that the Grand Master La Valette realized that it had to build defenses on the island if it wanted to maintain control of the island. It was then that the plan for this fortified city was developed. When the financial aid was provided, military engineers were hired to start building the fortifications on the island. When the Grand Master died in 1568, the construction of the fortified city wasn’t completed yet. Hence, his successor Pietro del Monte was the one who continued his project. 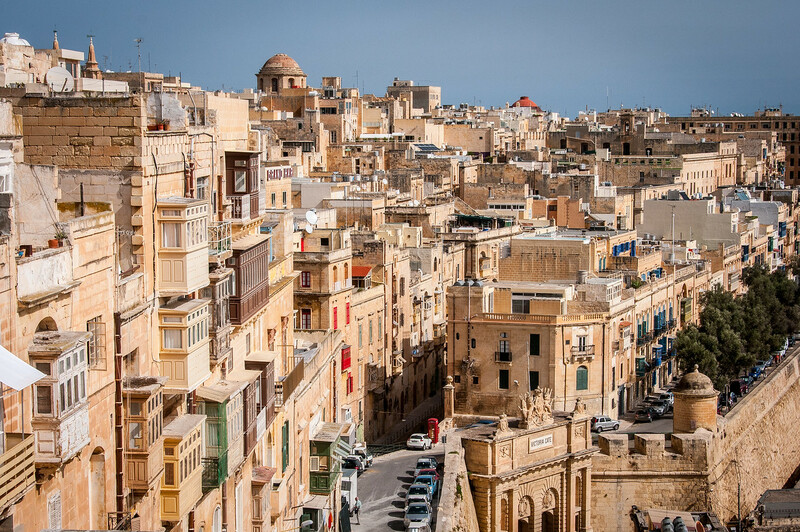 By the 16th century, the City of Valletta turned into a sizable city. This drew people from other parts of the island to come to the city and witness its fortifications. Mdina was the capital city of Malta at that time but it had lost its lure amongst the residents. The new City of Valletta now featured a strong bastion and deep moats. It served as the center of strategic importance in the region. In addition, Valletta also featured a unique plan that took into account the defense needs of the island. The city featured a uniform grid with some streets featuring a steep slope near the peninsula’s tip. The stairs on the streets also featured a unique format that would make them easy for the knights in armor to climb onto these steps. Fast forward to a few centuries later, the City of Valletta came under another form of threat – World War II. Majority of the city was wrecked during the Second World War due to bombing. However, the city was resilient enough to withstand through it and rose again a few years after. The devastation caused by the war is still evident throughout various parts of the city even until today. In the post-war years, many of the citizens of Malta moved out. This caused the population to drop to 9,000. Despite that, many tourists come to the City of Valletta today to experience its cultural identity and the fortified city that showed its resilience throughout the war and its history. It is known as the smallest capital within the European Union. 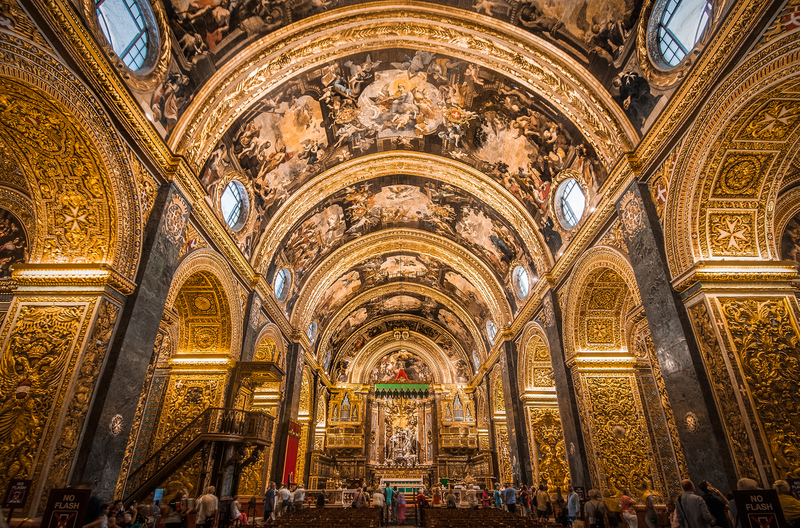 View my complete list of UNESCO World Heritage Sites in Malta.